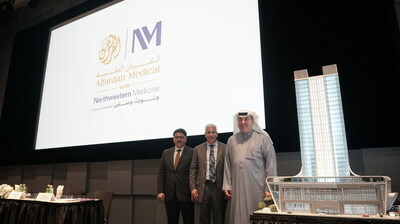 Alfardan Medical with Northwestern Medicine (AMNM) will offer patients a wide variety of ambulatory care services later this year – a first-of-its-kind in Qatar. This is Alfardan Group's first investment in the health sector, as part of its social responsibility towards the State of Qatar and its vision to develop projects that will contribute to the realization of the Qatar National Vision. Chicago-based Northwestern Medicine is one of the United States' premier academic health systems, anchored by Northwestern Memorial Hospital, one of the top ranked hospitals in the United States. The Northwestern Medicine health system is affiliated with Northwestern University Feinberg School of Medicine, ranked as one of the best research-oriented medical schools. AMNM will be located at Burj Alfardan in Lusail, and will occupy 11,000 sqm over six dedicated floors. The clinic's medical staff and clinicians will be a specialized team of multinational professionals including many from the U.S. The new and valuable addition to the private healthcare in Qatar will compliment Qatar's position in the field of medical tourism in the region. Experienced, high-caliber physicians will provide the best levels of health care at the ambulatory care center in various medical specialties, including: ear, nose and throat (ENT), dentistry, dermatology, gastroenterology, internal medicine, ophthalmology, orthopedics, cosmetic and reconstructive surgery, reproductive endocrinology/embryology, physical medicine and rehabilitation (PM&R), sleep medicine and executive health. 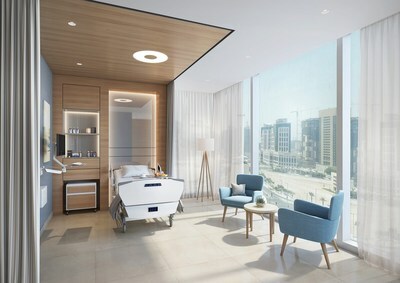 Alfardan Group's entry into the medical sector marks the opening of a new chapter in the Group's success as one of Qatar's pioneering business leaders for over 60 years, which has seen the Group grow to become one of the premier family-owned conglomerates for several business lines in the region. Alfardan Medical with Northwestern Medicine (AMNM) is an ambulatory care center that provides high quality, multidisciplinary medical specializations, based in Burj Alfardan, Lusail. AMNM is an international partnership between Alfardan Group and Northwestern Medicine (Chicago, U.S.A.). They each share a vision and a set of guiding values for the establishment, execution and operation of AMNM. AMNM adopts an American patient-centric model, where the patient always comes first. The most advanced, innovative and patient-centric care from a multinational medical team, with significant U.S. representation, combines with service excellence at the state-of-the-art ambulatory care center and treatment facilities. Specialties offered at AMNM include ear, nose and throat (ENT), dentistry, dermatology, gastroenterology, internal medicine, ophthalmology, orthopedics, cosmetic and reconstructive surgery, reproductive endocrinology/embryology, physical medicine and rehabilitation (PM&R), sleep medicine and executive health. Introducing new medical specialties to the region enhances Qatar's position as a hub for premium medical services and medical tourism. AMNM patients will benefit from Alfardan Group's business offerings in a range of other sectors, to ensure seamless treatment arrangements.